Secure and reliable cloud based email platform from We are Cloud for your business. Microsoft Exchange® lets organisations big and small reap the benefits of using Exchange in conjunction with Outlook, without having to invest in the costly infrastructure. Share your calendars, contacts, setup complex mail setups and use your BlackBerry or iPhone. 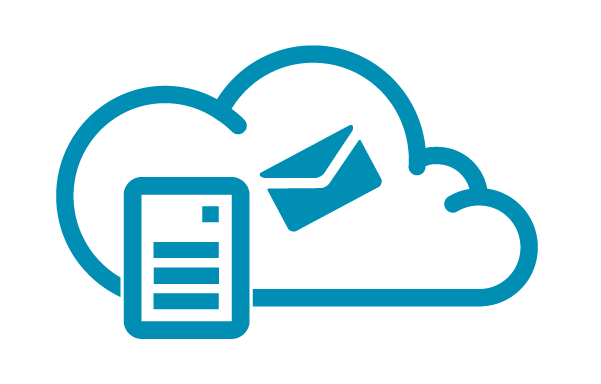 The We are Cloud feature rich and efficient Microsoft Exchange Email delivers secure access to email, calendars, attachments, contacts and more. Hosted Exchange is a great alternative to running email servers locally in the office or managing the platform yourselves. Our Enterprise based Exchange allows you to manage your email accounts and setup from a control panel and not have to worry about managing backups, DR, and making sure its available 24 x 7. Email and data is stored on the We are Cloud platform, providing redundancy, security and super fast connectivity from wherever you are. This allows users to access their email, calendar, contacts and shared files by a variety of means, including Outlook®, Active Sync and Outlook Web Access (OWA), which are all provided. Benefits of hosted Exchange Email is at the heart of business communication, and almost no businesses function without it. However, many businesses are not only using unsophisticated email systems with limited functionality, but are also spending far too much time and money maintaining them. By contrast, hosted Exchange delivered by We are Cloud feature rich, business class email, but with simplicity, clarity, low costs and without a lengthy set-up process.